Studley was appointed as a deputy under secretary of education in the U.S. Department of Education in September 2013. She oversees the department's second-term higher education agenda. Studley focuses on issues such as accreditation and college pricing, and will play a role in shaping the administration's proposal to create a system to rate colleges on affordability, quality, and other matters. Previously, Studley led Public Advocates, a trailblazing public interest law firm and civil rights advocacy group, since 2004. She is also chair of the National Advisory Commission on Institutional Quality and Integrity, US Department of Education; vice-chair of the San Francisco Ethics Commission; and on the boards of San Francisco Education Fund and the American Craft Council. She previously was general counsel of the U.S. Department of Education and President of Skidmore College. 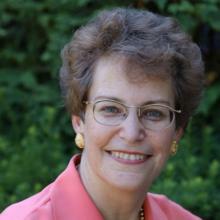 Her long experience in legal education and its improvement includes service as Associate Dean and Lecturer in Law at Yale Law School, a member of the Carnegie-Stanford Legal Education Study Project, a member of the ABA Commission on Debt Burden and Loan Forgiveness, executive director of the National Association for Law Placement, and an adjunct faculty member at Stanford and UC Berkeley Law Schools. She and Public Advocates are active in federal and state policy advocacy promoting access, quality and effective oversight across the spectrum of higher education. She is a graduate of Barnard College and Harvard Law School, and is a member of the District of Columbia Bar, where she practiced administrative and antitrust law.